Light up hearts and homes with this stunning votive candle holder! 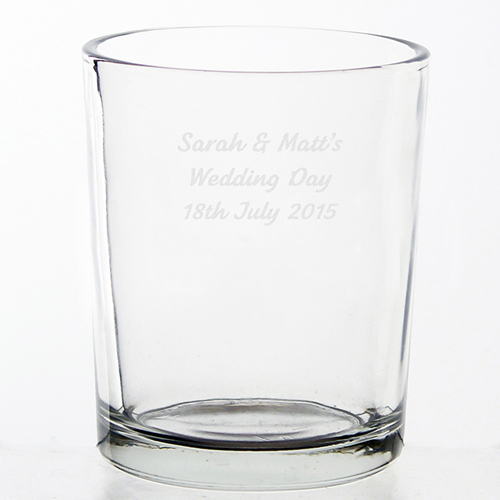 This glass votive candle holder can be personalised with any message over 3 lines and up to 20 characters per line. Personalise with any message over 3 lines and up to 20 characters per line.